Ready with name brand factory components and on-site service to keep your industrial furnaces and ovens running at peak performance . Visit our photo gallery for more Parts and Service photos. On site Calibration & Certification Services is something that many companies are required to have to ensure the quality of their product through quality programs such as ISO9000, ASM2750, NADCAP and others. Kleenair can offer onsite certification, documentation and stickered visual verification of all instruments, or verification of TC accuracy to a NIST traceable source to give you reassurance that your product is being run at accurate temperatures, to provide you with the documentation that you need for approval of your quality control programs. Temperature Uniformity Services is another service that provides piece of mind for a variety of industries and applications. The data obtained through this service can be used for approval of specifications, troubleshooting or quality assurance of critical products such as aerospace. Combustion System Safety Audits (CSS-Audits) can minimize down time and help increase productivity. This program can also help satisfy NFPA standards that requires no less than annual inspections on all combustion equipment and that are used as a guide line for safety regulations nationwide. Combustion System Safety Audits can be as simple as a predesigned inspection sheet that includes the inspection and testing of all safety interlock and safety devices, to a customer designed testing procedure that satisfies EHS managers or insurance carriers. Kleenair offers CSS-Audits to fit your production schedules and can be scheduled as a one-time on-site visit or as a planned program of quarterly, semi-annual or annual visits. Trouble Shooting Services. One of our most important services and where our expertise shines through is our trouble shooting service. We currently employ individuals that have experience in the field of combustion technology, so finding a problem that we can’t solve is no easy task. Our service department is on call 24/7, so whatever time of day or night we will make someone available to solve your problem and we also have a full parts department to support our service department as we diagnose and repair your combustion problems. This service is provided on a time and material basis. Retrofit Services. As equipment ages and wears over time or national and state codes change to improve safety, there are times when there is no other option than to upgrade your equipment. Since Kleenair is an OEM, we are well suited to help in this area as well as all the other service mentioned above. 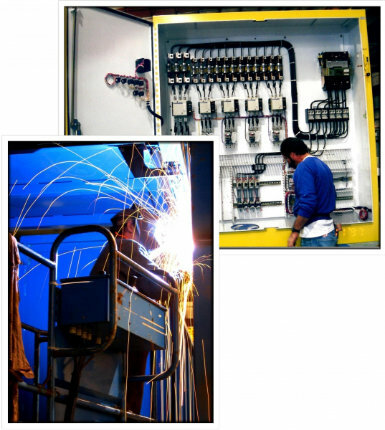 We can provide mechanical and electrical Engineering, plus a full fabrication facility. Our technicians are fully qualified to modify and reinstall new parts and equipment, from a mechanical and electrical capacity, to help maximize the performance of the existing components. 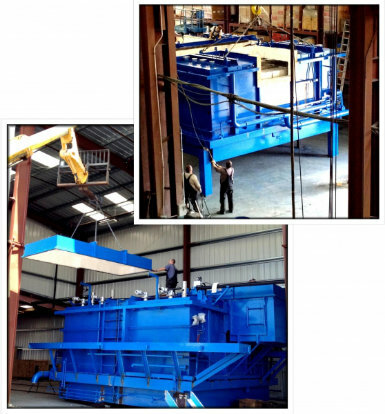 Also included is the testing of all components and startup of the equipment. When the job is completed you will have a newly retrofitted piece of equipment that is ready for production. This service is also available on a time and material basis, or depending on the scope of the project can be estimated for cost planning. Every heat treating furnace, industrial oven and automated process system we build, are backed by the best parts and services from some of the leading manufacturers in the industry today. Contact Kleenair Products Co. today for further details on how we can provide you with some of the best and most qualified service technicians. We back our heat treating systems and automation products completely.